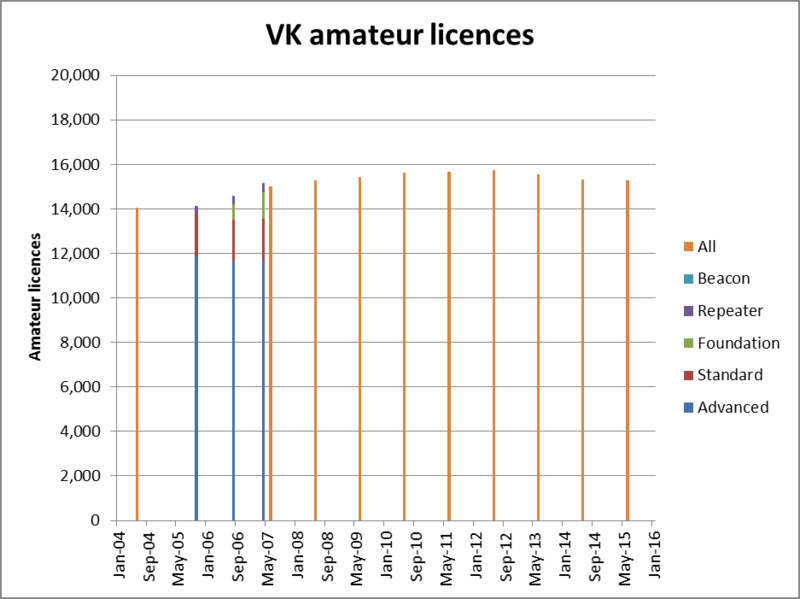 The ACMA’s annual report reveals that in FY 2017/18, there was an increase in total amateur licences was just 30 licences or 0.2%. 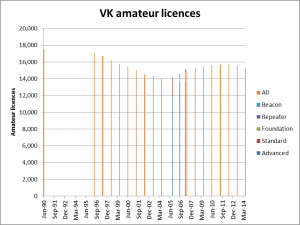 The more interesting question is the dissection of the total into the numbers for each grade and the trend. 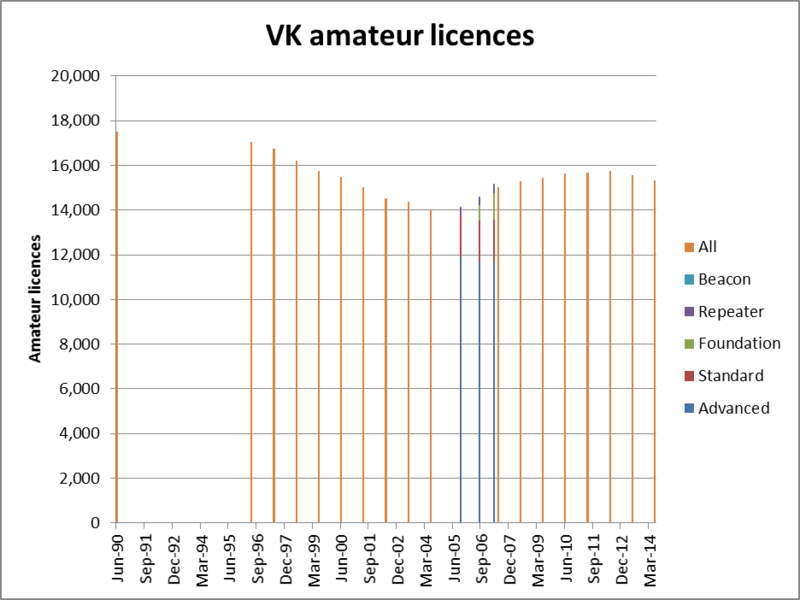 The graph above shows the total issued licences over the years since the introduction of the licence reform which introduced the Foundation licence and gave significant additional privileges to all existing licencees except the ‘full’ licencees. 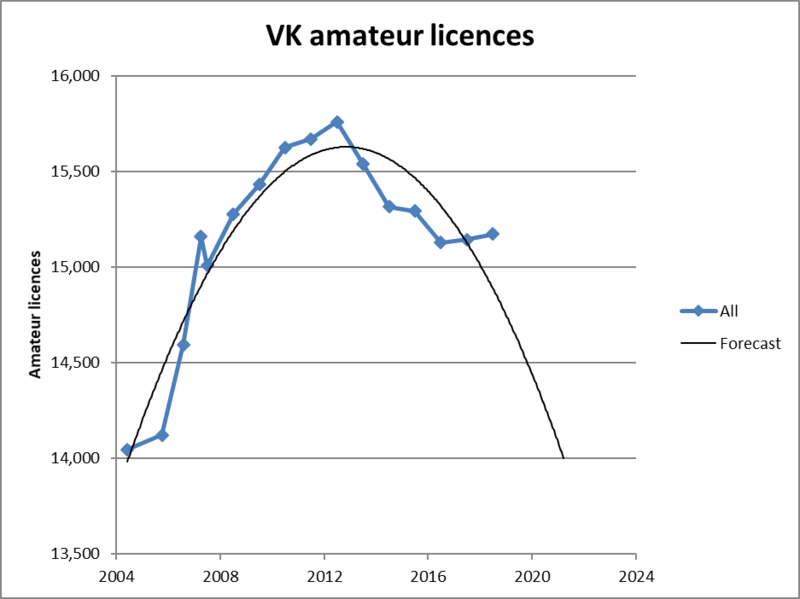 That has indeed happened, licences peaked at 15,760 in 2012, still well below those of 20 years earlier. 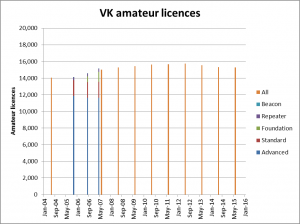 The increase in the last two years (albeit very small) is against that trend. On the horizon is the change to the assessment scheme announced by ACMA on 1/2/2019. There is no public information on the transition to the new service provider, just advice that as of that date the WIA will no longer conduct assessments or issue call sign recommendations. Separation of assessment from the WIA distances the WIA somewhat from the setting of the competency instruments, and assessments themselves (unless the WIA were to become a sub contractor to the new provider). 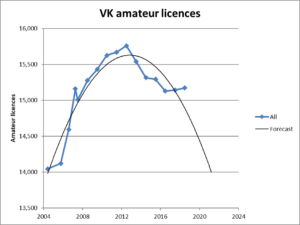 It is arguable that the current qualification requirement bears little relevance to the knowledge and skills required to safely establish and operate a modern amateur radio station, and that the qualification requirement is actively retained as a means of restricting access to the hobby, and we have yet to see if the new provider arrangements increase access to and costs of assessment of those qualification assessments.